A consented tow is when you hire or permit a tow truck driver to transport your vehicle. Other times, a vehicle is towed without the owner’s permission. This is called a non-consent tow. Non-consent tows are usually legal, but sometimes, they can be contested by the vehicle owner. 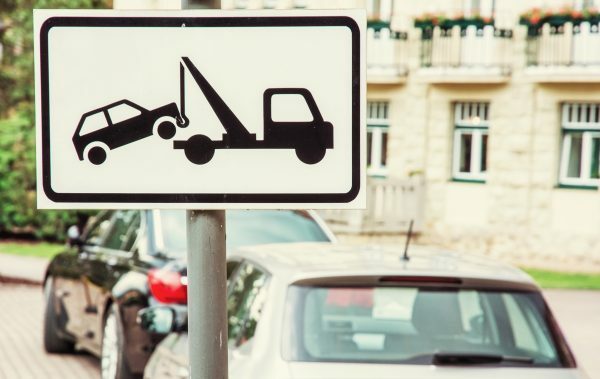 Continue reading to learn what you need to know about non-consent towing, including when they are permitted and how to contest one in your town. Most non-consent towing occurs when a vehicle is parked illegally, posing a safety hazard, or obstructing traffic. For instance, if a car is double parked, parked in a handicap zone without proper tags, blocking a fire lane, or abandoned and obstructing traffic, it can be legally towed at the owner’s expense and without their permission, either by the authority of the city or the private property owner. This form of non-consent towing is generally provided by a third party towing company. And this is the party that tends to get all the grief for the tow, even though they are just a hired hand being ordered by the actual party in charge. So if your car is ever towed, don’t take it out on the tow truck driver; instead, you can contest the tow, or simply go through the standard process of regaining possession of your vehicle. If you believe the property owner, city, or towing company made a mistake, you may challenge the non-consent tow. If you wish to move forward with contesting a non-consent tow, your first step is to request a tow hearing. You can do this by visiting the county’s clerk’s office or courthouse and file a written request. A tow hearing will give you the opportunity to tell a judge why you believe your vehicle was wrongly towed. It can take several weeks for a county to process this request, so it is important to file it immediately after the incident. You will need to bring physical evidence with you to support your claim. One of the strongest forms of evidence you can bring are photographs of the area where your vehicle was parked, including nearby street signs, parking lines, and more. Obtaining witness statements at the actual time of the tow are also valuable to your case. If your vehicle was towed from a “customer’s only” parking lot of a store you were shopping at, receipts of purchases you made at the store would be a quality piece of evidence. Even though you are claiming that your vehicle was wrongly towed, it is very important to pay all of your tow fees in full prior to your tow hearing. If you do not win your case, you will still owe the money, so do not let hefty fees accumulate in the meantime. Trust Our Indianapolis Towing Pros for Advice and More! This entry was posted in Towing and tagged how to contest a tow, Indianapolis tow truck services, Non-Consent Tow hearing, Non-Consent Towing facts, Request a Tow Hearing, Tow Hearings. Bookmark the permalink.